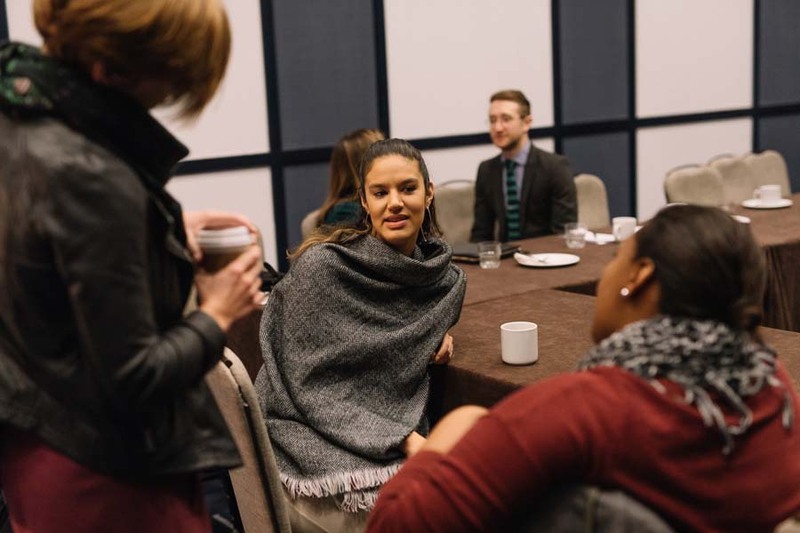 The November edition of the Young Nonprofit Professionals Network of the Twin Cities (YNPN) Leadership Breakfast came at a time when many of us needed it most. 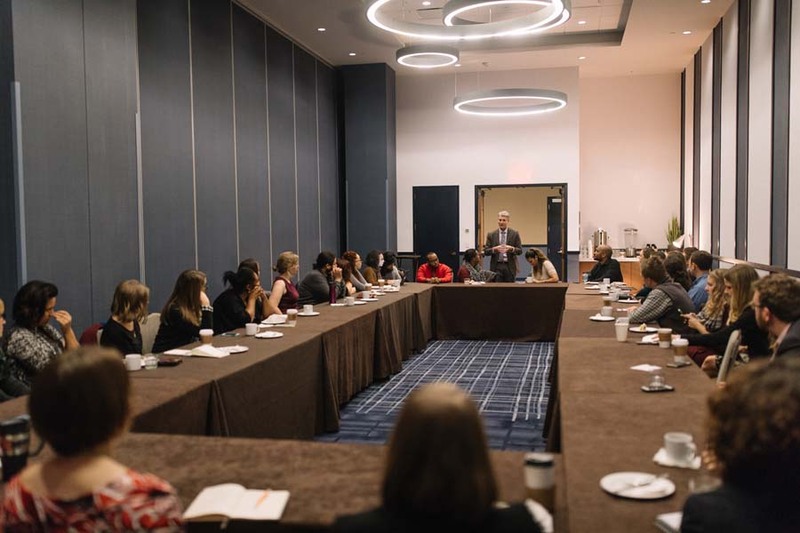 Our breakfast group gathered with questions just days after a turbulent presidential election with an unexpected result, leading into a time of uncertainty, and for many, one of growing concern. The opportunity to hear from R.T. Rybak, former mayor of Minneapolis and current CEO and president of the Minneapolis Foundation, gave those in attendance not only a chance to hear from someone capable and experienced, but also to connect with someone full of optimism and pride in our Twin Cities community. 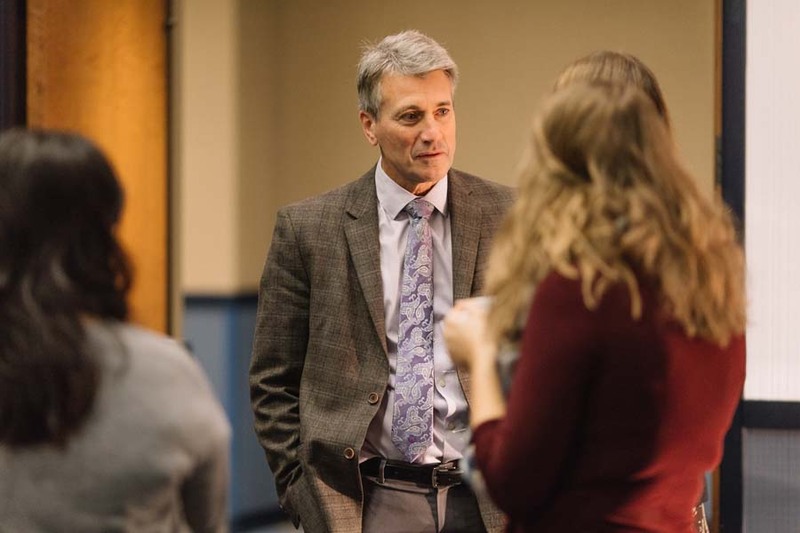 Rybak provided useful and pointed advice about leadership, nonprofit work, and community building. On a final, poignant note, he offered a message for young leadership: we’re now in the unique position to influence change and have an opportunity to work for the future we want to see. For R.T., the qualities that aren’t usually associated with leadership—being a good listener, the ability to empathize—are often most useful in a leadership role. 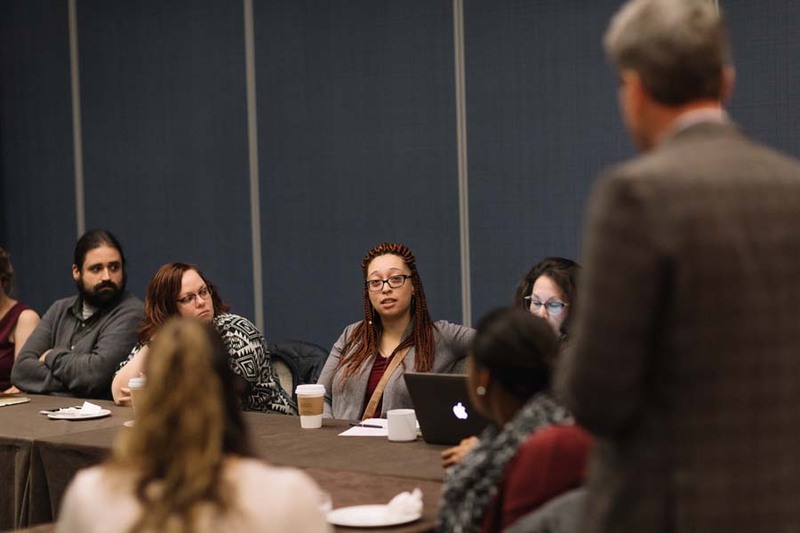 When he was mayor of Minneapolis, R.T. was faced with a range of gargantuan problems: youth violence, equity in education, closing the achievement gap. These weren’t problems one person could solve, and they weren’t going to be solved overnight. As he said, “I’ll give you the one thing needed to close the achievement gap if you give me the one ingredient to bake a cake.” By drawing on the experience of those around him, rather than going in with a master plan, R.T. approached these problems systematically, conducting research within communities and consulting with experts before executing on multiple levels. 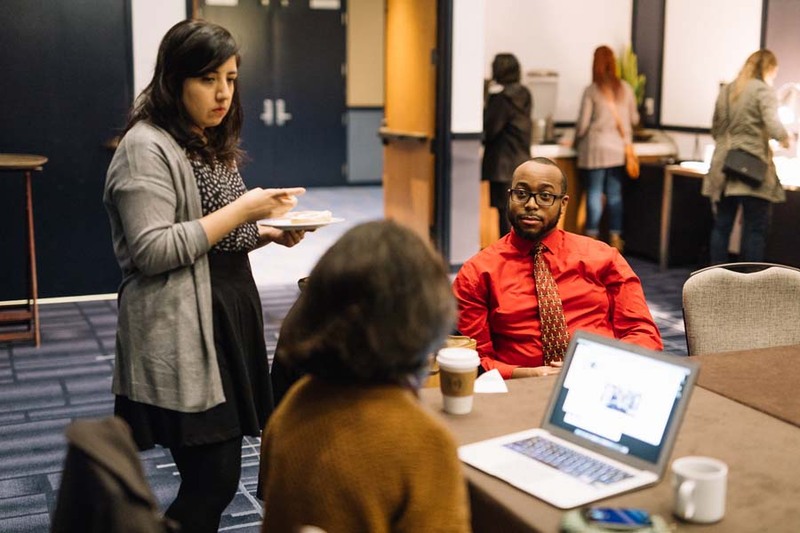 All the while he was gathering metrics to show that progress was happening, an important part of quelling the frustrations we are all familiar within our nonprofit work. Before R.T. became a well-known figure in the Twin Cities and a three-term mayor of Minneapolis, he worked as a journalist. During his first campaign for mayor, R.T. found himself door knocking, delivering his campaign speech, but unfortunately not connecting with anyone. It was at this moment he realized the connection between journalism and running for office. He’d been in this position before, as a journalist. 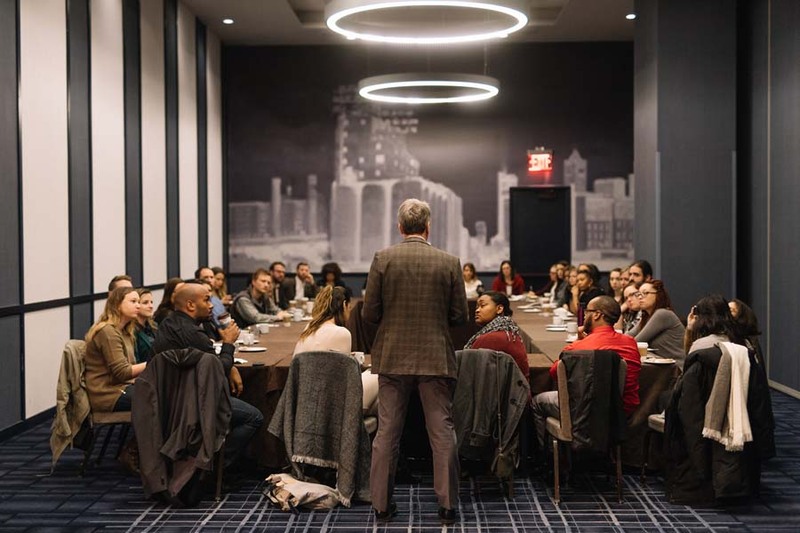 He shifted his focus from telling people about himself to gathering information—asking them questions, learning about their concerns, and understanding their vision for the city. From this position it was easier for him to lead, and easier for constituents to trust his leadership. 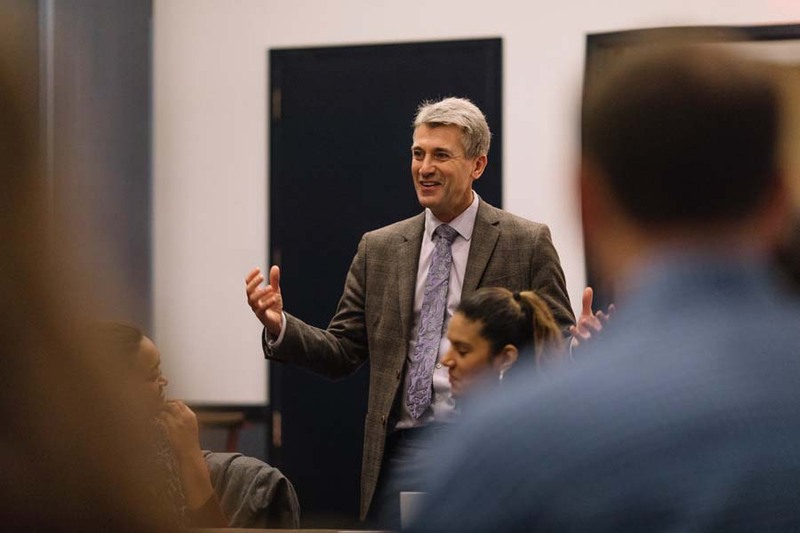 Likewise, in his current role as CEO and president of the Minneapolis Foundation, R.T. frequently draws on his political experience and his wealth of knowledge about Twin Cities communities. He uses this knowledge strategically to connect donors and organizations. For example, one of R.T.’s biggest priorities at the Minneapolis Foundation is his work on the donor advised fund. 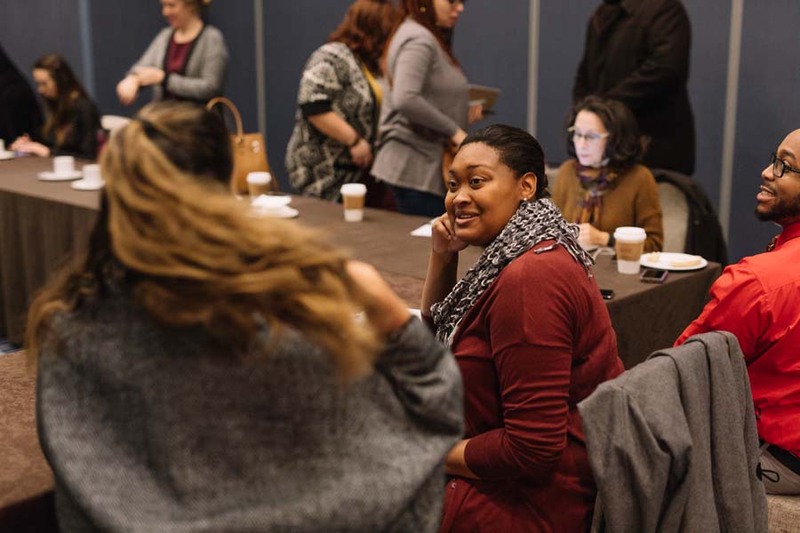 This fund helps donors think strategically about philanthropy, as it works to build a community of donors that rely on the Foundation to mobilize them where they’re most needed. Since he has taken on his leadership position with the Minneapolis Foundation, people often ask R.T. what it’s like to be out of politics. Although he’s in a different sector now, he sees political, nonprofit, and philanthropic work under the umbrella of civics. Though different sectors play different roles, they all work to achieve the same outcome: common ground. For instance, after a heavy snowfall, individuals shovel their driveways and sidewalks, but the city shovels the street that everybody shares. The goal is to get the public sector to work in tandem with others along lines like these where there is common ground. To illustrate what it means to break down barriers, R.T. told a story about an acquaintance, a math teacher in Los Angeles. She struggled to help students understand the concept of negative numbers. When she moved to Minnesota and began teaching the same concept, students understood it immediately thanks to their familiarity with temperatures dipping below zero. Because of the children’s unique experience, they were able to understand an abstract concept. R.T. feels that cultural fluency helps break down what divides us. 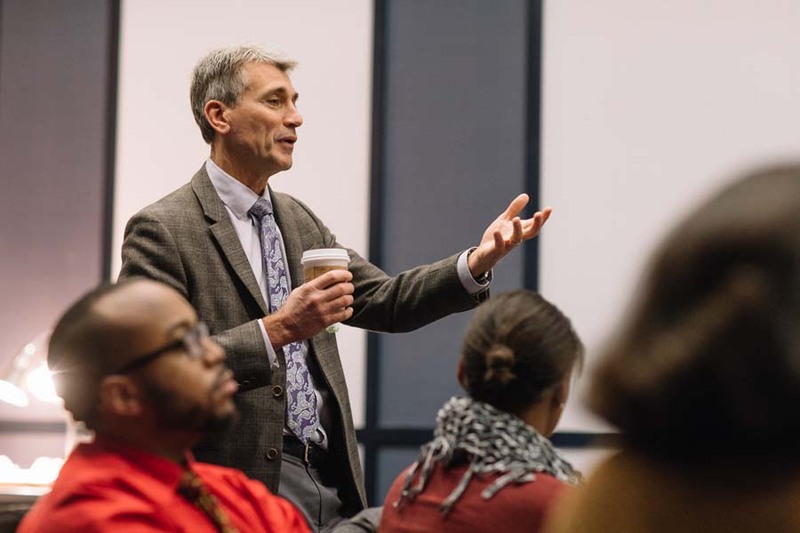 The timing of this Leadership Breakfast with R.T. Rybak was truly fortunate. He gave us an inside view of what leadership in large organizations looks like, and demonstrated how politics affects all sectors. His grounded and pragmatic approach to the current political climate blended seamlessly with encouragement and optimism, based in the work we’re already doing, and the skills and drive we already have. 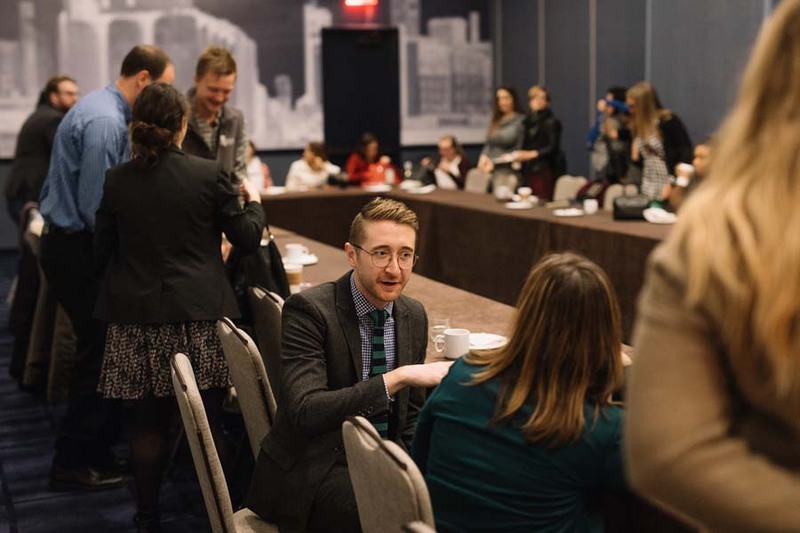 R.T. encouraged us all to be a part of Fourth Generation, an initiative within the Minneapolis Foundation that supports the next generation of philanthropy by connecting young members to each other and providing resources and structure to be more effective. R.T.’s final piece of guidance for us was moving, bracing, and powerful, and something I will look to for encouragement many times in the coming years. I hope his words can do the same for others, and for that reason, I’m sharing them with you, verbatim.